Huge Pillow Fight in Poznań! 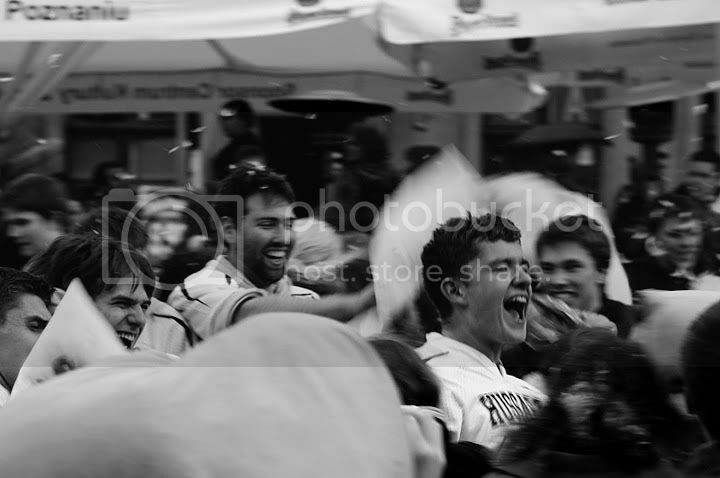 The organizers of this year’s Juwenalia decided to “wake up” students from the long winter sleep by organizing a huge pillow fight in the very heart of Poznan. 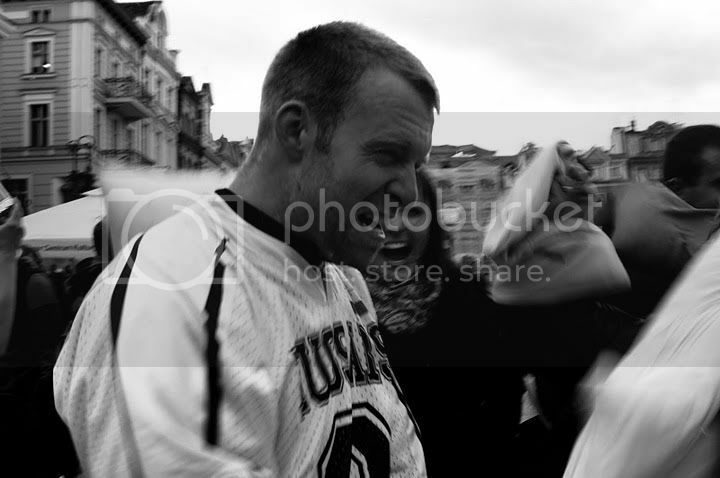 Six Poznań Hussars players set off to Stary Rynek (downtown market) wearing club jerseys and equipped with pillows and lots of positive energy. When we reached the place, 300 students were already there just waiting to start a fight! The beginning of the whole battle was a small fight that started in one of the beer gardens. Immediately hundreds of students started to attack from three sides of the market. As Hussars we had the privilege to attack in the first row. When those three groups collided in the middle tons of feathers flew into the air! As a team we gathered in the very center of the fight repelling the onslaught of enthusiastic students. One of us shouted “back to back” and we created a circle hitting everyone outside of it. 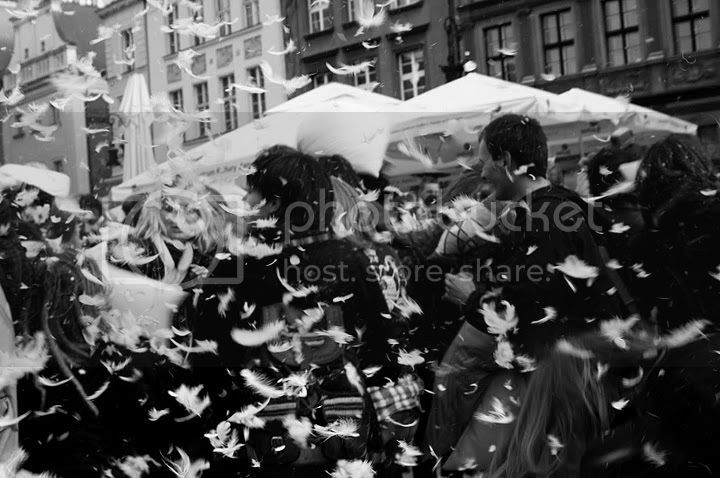 It was amazing fun, a lot of feathers in the air and on the ground! We hope to participate in more flash-mobs of this kind.